OnePlus unveiled the OnePlus 5T last week and today, the phone starts selling in several markets including the U.S. and India. Priced at $499 for the base model, the OnePlus 5T is the new Google Nexus 6P. The phone gives you the best value for your money, more than anything the current smartphone market has to offer. As you would expect, the 5T picks up from the standard OnePlus 5 left off, but it also keeps a huge chunk of the hardware specs used on its predecessor. 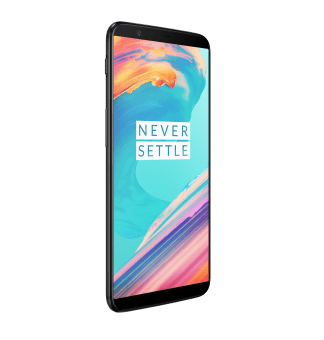 Being a 2017/2018 flagship killer, the OnePlus 5T adopts the latest design language of any flagship smartphone, a near bezel-less design that puts a massive 6-inch AMOLED display screen in a body that is just about the same size as the one used on the OnePlus 5. This change also means the hardware buttons are gone and in comes the software buttons alongside a rear-mounted fingerprint scanner. Other than these few design changes, nothing has changed on the inside, at least when talking about performance specs. The same Snapdragon 835 processor still runs the show alongside either 6GB or 8GB RAM. The storage options are also the same – 64GB for the base model and 128GB for the high-end variant and as usual, there’s no microSD card support. Even though the cameras are still the same at 16MP+20MP, the telephoto lens is gone and in comes a low-light optimized sensor, an area OnePlus phones have consistently performed poorly. The battery capacity of the OnePlus 5T remains the same as the OG 5, which is not bad at all. However, the weirdest decision is to release the 5T with Android 7.1.1 Nougat out of the box. So far, we’ve seen several phones based on the new Android Oreo and not all of them are from Google. If anything, the least OnePlus would have done is to give 5T Oreo out of the box, but instead, the company has promised a swift update to Oreo in the coming days or weeks for that matter. So, what does this really mean for OnePlus 5T buyers? Typically, Google releases two major OS upgrades for its devices and lately, we’ve seen several OEMs follow the same route. With this in mind, many (high-end) smartphone buyers go for a phone hoping that it will receive at least two major OS upgrades. In the case of OnePlus 5T, Oreo will be the first major OS upgrade and next year’s Android P will be the second major OS upgrade – and most probably the last. It’s true that most devices that were released in 2017 will not go past Android P when it comes to software updates. However, OnePlus 5T has come in at a time when the likes of Sony Xperia XZ1 and Huawei Mate 10 have already been released with Oreo running the show out of the box. With Oreo, the 5T would have had guaranteed updates until 2019, but this might not be the case. The good side of the story is that OnePlus devices are easy to unlock and flash custom ROMs, which means you’ll still be able to get all the goodies of Android P without using the official channels. Once again, the OnePlus 5T is a great phone that competes with $1000 smartphones in terms of performance specs. Given that it’s nearly half the price of the Google Pixel 2 XL, Huawei Mate 10 or Sony Xperia XZ1, you shouldn’t feel bad about this decision. It’s just one of the few sacrifices you make in order to get an affordable phone, otherwise, feel free to part with close to $1000 for the Pixel 2 XL, which guarantees 3-year software updates. Note that OnePlus hasn’t said a thing about the expected software update schedule for the OnePlus 5T, which is why you shouldn’t be in a rush to buy the phone, at least until the company says something about their plans. Unfortunately, this might not happen anytime soon, which could mean your wait may end up leading you to the release of the OnePlus 6, a phone that should borrow a lot of the 5T’s design cues as well as pack Android Oreo out of the box, promising updates beyond 2018. I can give you three reasons not to buy this phone. * No QHD (1440p) — which all premium phones have had since late 2014. I’m not downgrading. * No Qi wireless charging,Which I’ve had since 2013, and now even Apple has added it.